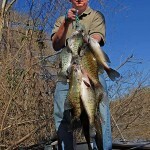 John’s Note: I’ve fished for night crappie most of my life. But when I heard about a possible new and better way to catch crappie at night, I had to try it out. Kevin Caudle from Gum Pond, Alabama, fishes for stripers at night on Lewis Smith Lake in north Alabama. He had told me about the lights and the technique he used to catch stripers. 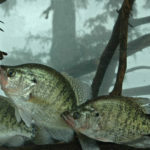 I thought if this tactic worked for stripers then surely it would work for crappie fishing. 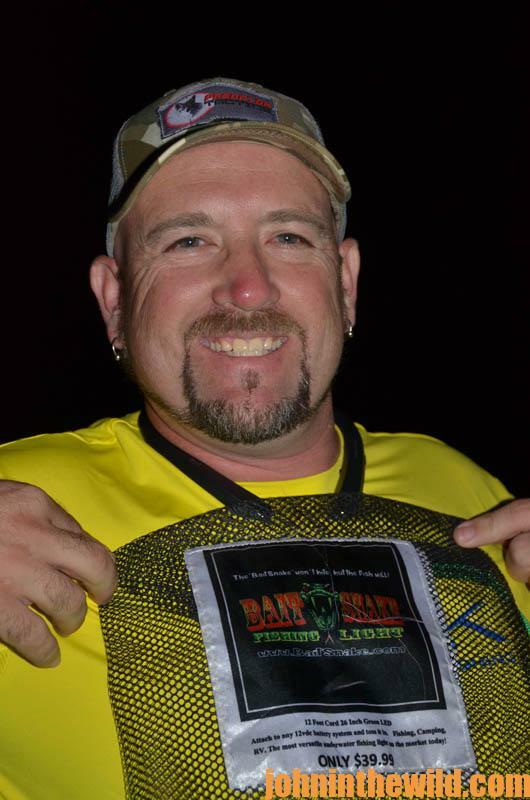 “I was looking for a way to draw in bait fish at night in hopes of attracting stripers to bite after dark,” Kevin Caudle explains. “I found this strange-looking light called a Bait Snake Fishin Light, a flexible green fluorescent submersible light that doesn’t float and that you can let down into the water with no weights on a submersible cord as deep as you want to fish. A company called Enlightened Outdoors makes the Bait Snake http://www.baitsnake.com. 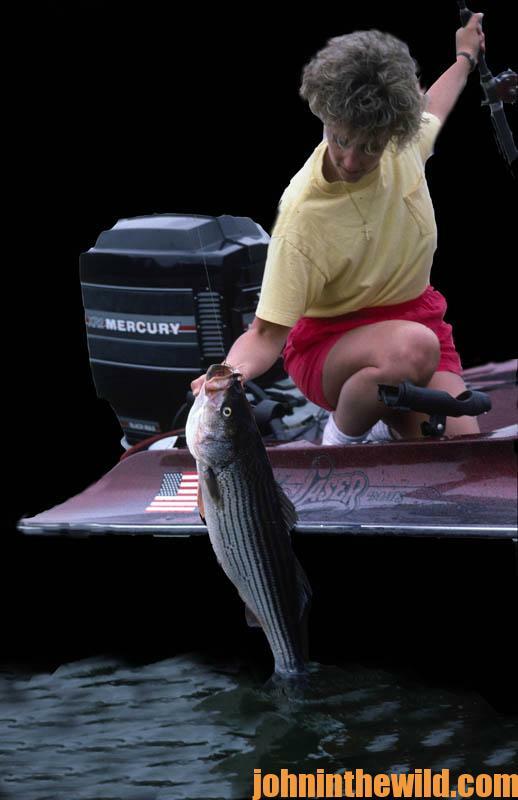 The light operates off the battery you use to start your boat or off your trolling motor and pulls very-little current out of the battery. You also can buy the light in varying lengths. This green light draws plankton, which attract bait fish like shad and then stripers, crappie, catfish and almost any other type fish you want to catch at night. You can get a light that’s on a cord as short as 12-inches long or all the way up to 108-inches long. Each 12 inches has 600 lumens. 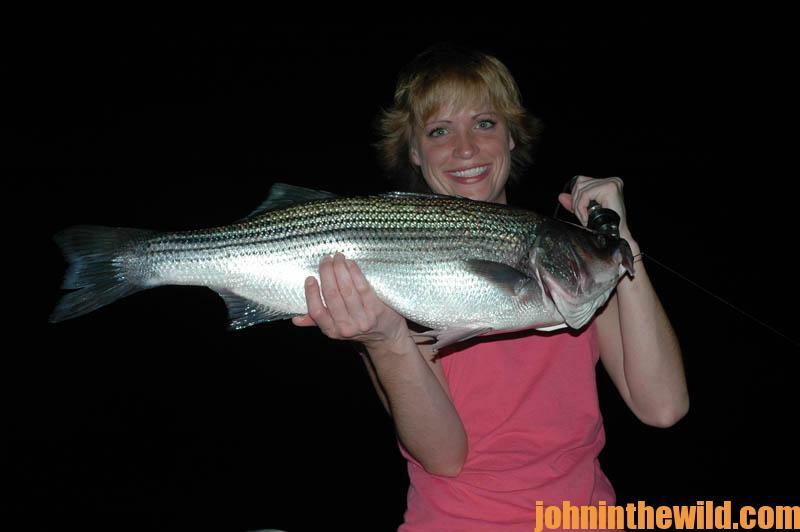 Most striper fishermen fish with live gizzard shad. 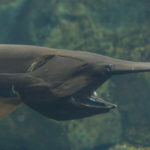 But to get the shad and keep them alive and lively until they’re needed for bait, they use large round barrels with constantly-flowing water and rock salt in them. 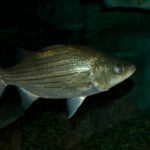 Then they use cast nets and dip nets to catch the shad, put them in the barrels and later use them to fish for stripers. But Caudle has a far-better technique. 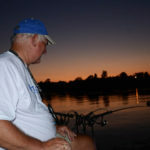 To learn more about John E. Phillips’ outdoor eBooks and print books on fishing and hunting, go to www.amazon.com/author/johnephillips or for Nook books, check out www.barnesandnoble.com.